BREDA-X-10UF MT, green PU belt. Durable and strong top cover that does not crack even on small pulleys. Hard & matt PU cover for pot conveyance. High transversal rigidity, belt stays completely flat without rising edges, good for perpendicular transfers. 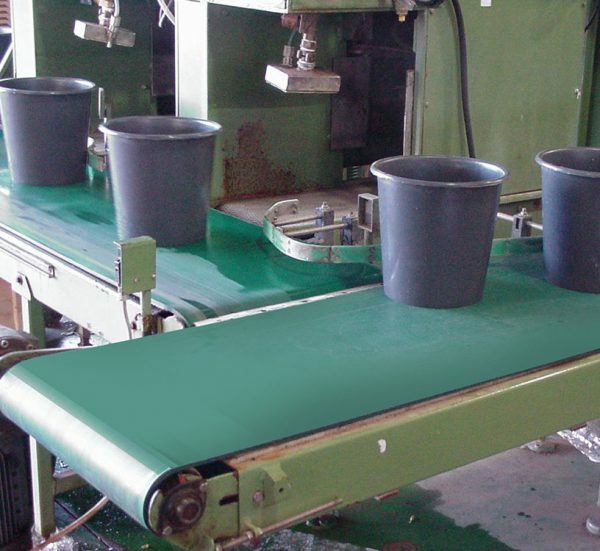 Low friction co-efficient cover that allows accumulation of pots. High longitudinal flexibility for working with small diameter pulleys. The cultivation of indoor plants and flowers in greenhouses involves a great deal of moving of potted plants. The greenhouses are divided into various sections and thousands of pots are moved among them every hour. Each greenhouse can produce millions of plants a year and the mechanization of greenhouses with conveyor belts greatly increases productivity. 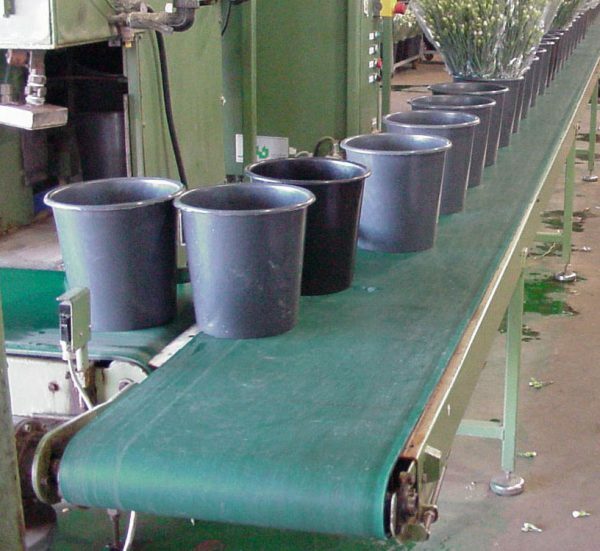 In general belt widths range between 160mm to 400mm while the lengths vary depending on the conveyor, but may reach 90 m.
Preparation of flower bouquets and preservation of flowers in pots with chemical solutions.